Huge thank you to our sponsors, relativ* and Code Chrysalis! Workshops are everywhere! Such a popular activity to identify and solve issues. But, do you often get creative for the process of designing the workshop? Workshops are a great way to create interactions among people to discuss specific topics, but quite often they can be crammed because of a shortage of time. Each case is different and it will be effective to consider each case individually and tailor the methods and tools for it and make the process enjoyable to get better results! As I work as a media artist, as well as working as an experience design director, I often put something unexpected or some ridiculous element within the design of a business workshop. Sometimes I employ a theatrical approach, using food and any playful ideas. I try to connect those paradoxical art and business contexts as one. I will talk to my personal experience, when I moved to my media art field to design innovation as well as talking through workshop design topics. At the workshop session, I would like to make the session interactive! I want to know everyone`s common topics and new methods and common pain points among facilitators and participants. Let's improve and share our thoughts for workshop design ! 体験型広告や展示等の空間系体験デザイン、デザインストラテジー、ワークショップデザイン、デザインリサーチ等幅広い案件に携わる。本業の傍ら、メディアアーティストとして作品を発表。BBCやThe Independent等世界的なメディアに掲載、Frieze Art Fair等に出品された。2009年英紙Creative Reviewベスト6卒業生選出. hexux_tokyo published Hexagon UX Tokyo: Design How to Think. 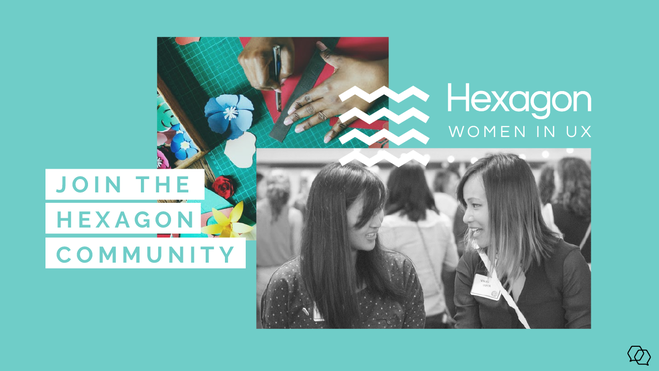 Hexagon UX Tokyo: Design How to Think has been published! I joined Hexagon UX Tokyo: Design How to Think!